January 22, 2019: Following its successful launch, HONOR 10 Lite, HONOR’s latest flagship phone, is now available in Oman. While the flagship device packs powerful hardware it also scores high in style and design, making it a great new-year purchase or gift. 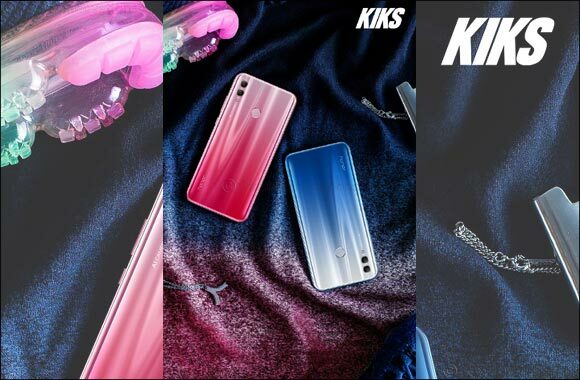 It features a refined gradient finish for a youthful, energetic look that turns the device into an instant style icon, giving you a refreshing start in 2019. As Artificial Intelligence (AI) continues to dominate new technology and devices in 2019 and beyond, the AI-powered HONOR 10 Lite front camera will offer a superior selfie experience to smartly capture the best possible selfie in any moment. The front camera can intelligently recognize and optimize eight scenarios in real time with the AI-powered algorithm, enhancing the subject’s face and the background respectively by modifying dynamic exposure and applying color adjustment according to different scene types. The AI beauty algorithm uses 3D facial recognition to offer customized beauty effects based on your age, gender and skin tone, allowing you to create your own definition of beauty in the new year. The HONOR 10 Lite is a go-to option for those looking for a flagship phone, that not only performs at stunning rates, but also carries its own sense of individuality and makes one stand out in a crowd. Keeping in mind HONOR’s unique styling, the HONOR 10 Lite boasts design elements that make it an aesthetic treat. Stunning colors, a bezel-less display and a unique four-sided curved 3D design are simple and elegant design elements that give the phone a unique look. Designed with eight layers of shimmering material, the HONOR 10 Lite comes in four beautiful shades. The colors include Sky Blue, Shiny Red, Sapphire Blue and Midnight Black. The former two come with an elegant gradual fade from light to dark and a luminescent progression effect, the later two shows off a glossy texture, that gives a chic and reflective finish. Bringing together the best of today’s technology and smartphone design, the HONOR 10 Lite brings an all-new display design with the stylish dewdrop notch on its large 6.21” FHD screen. The HONOR 10 Lite combines powerful AI with high-end camera hardware to help users take professional level photography with ease. Up front, the 24MP camera with a wide f/2.0 and increased resolution, creates the perfect selfie. This camera works with the on-board AI that can recognize 8 different scenarios, finding the best setting for every selfie. On the rear, the HONOR 10 Lite packs a dual-lens setup of 13MP and 2MP cameras, which when paired with the AI, creates some of the best photos on a smartphone camera. HONOR 10 Lite is priced at Omani Riyal 78 in Oman and available at Cell Hub Office.